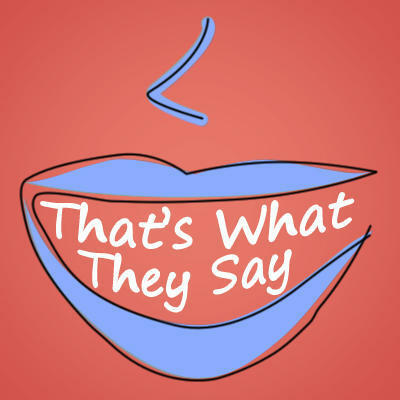 On this week's edition of That's What They Say, English Professor Anne Curzan joined us from Salt Lake City, Utah where she attended the American Dialect Society's annual meeting. Before we reveal the word that dominated 2017, we feel it's necessary to assure you that there's nothing false about this report. If you're someone who likes to mull things over, consider this question our holiday gift to you. When you mull something over, must "over" always be part of the equation? Or can you leave it out and simply mull something? Take a second to mull that over. There are reasons to use "there are" before a plural, and there's reasons to use "there's"
There's examples all over the the place of people using "there's" before a plural noun. In fact, we just gave you one. A listener named Bill from Kalamazoo recently wrote to us about this. He's noticed all kinds of people, including broadcasters, using "there's" in front of words that refer to multiple things such as "thousands" or "many" instead of using "there are." He says, "As an old guy, it drives me crazy. Especially when said by a 'professional' who should know better." Bill, all we can say is guilty as charged. What scares the living daylights out of you? Maybe it's watching a scary movie in the dark by yourself. Maybe it's that dog down the street who makes Cujo look like Lassie. Have you ever wondered though, what exactly is a "living daylight"? The answer is kind of violent. A new high school in Utah is worried about the plural form of their mascot, the phoenix. Sure, "phoenixes" is perfectly innocuous. But parents were concerned about the other option: phoenices. If you don't see the issue, go ahead and say that one out loud. The school's principal said the team name would always be singular, similar to the Miami Heat or the Orlando Magic. Still, this got us wondering about other Latin plurals. You'll need a "login" if you want to "log in"
How many usernames and passwords do you have these days? You've got email, bank accounts, Facebook, Twitter, Instagram, Paypal, Amazon, Snapchat, Nextdoor, Ebay and probably at least two dozen other accounts that aren't listed here. Remembering all the information we need to access our devices and accounts is nothing short of a challenge. On top of that, we've got a spelling issue to contend with. One word or two? That's the question. At least, that's the question a listener named Nancy posed to us this week. She wanted to know when "into" should be written as one word, and when it should be two. Nancy isn't the only one around here who's experienced grief over this everyday grammar quandary. Suffice to say, we were happy to dig into this one. "Into" has a few meanings, but it basically indicates movement or direction. It can mean "toward the inside of" as in "she walked into the classroom." It can also mean "in the direction of" such as "I turned into the wind." When you're trying to figure out whether "into" should be two words, the first question you should ask yourself is whether a phrasal verb is present. In other words, is the "in" part of the verb as opposed to being a preposition? Think about "turn in," as in what you would do with an essay: "I turned my essay in to the teacher yesterday." On their surface, adjectives don't seem very tricky. They tell you what color, how big, how old, what shape, what size -- pretty simple stuff. Given that simplicity, it seems like all adjectives should keep their meaning regardless of whether they come before or after the noun they modify. A beautiful sunset is always a sunset that's beautiful. A red rose is always a rose that's red. A fluffy cat is always a cat that's fluffy, barring some sort of ill-advised shaving experiment. Don't get too comfortable though, because true hogwash is not true. English has a few great phrases for the people at the top of an organization. Depending on where you stand in the hierarchy, you probably have a few of your own -- maybe even some that aren't appropriate for a public forum. We'll let you keep those to yourself. Instead we're going to look at a pair of terms that are fairly print and radio appropriate -- bigwig and muckety-muck. The word "singular" doesn't raise any eyebrows when we're talking about grammar. However, there's some concern about how the word is being used outside the grammar world. A listener named Brian recently wrote to us about the use of singular as "a pretentious version" of single. He was under the impression that singular only means single in the context of grammar, and otherwise means unique. "However, just in the past year, I've heard [singular] used more and more often to mean single, usually in a more formal context. I wonder if the horse is already out of the barn on this one," he says. Brian, we can't even see the horse at this point. In 2009, Lake Superior State listed "iconic" on its annual list of words to banish. The list's authors say it was one of the most-nominated words that year. People calling for its banishment said "iconic" was overused, especially among entertainers and entertainment news. Bryan Murphy of Fairfield, Connecticut said, "Just because a writer recognizes something does not make it an icon or iconic. It just means that the writer has seen it before." That may be, but eight years after it was banished, "iconic" is still alive and flourishing in an ever-wider range of contexts. Should we stop utilizing 'utilize' and just use 'use'? One of the best things about putting together That's What They Say is getting to utilize Professor Anne Curzan's vast knowledge of English to suss out language debates. That's why when a listener named Bill asked us if we had ever covered the word "utilize," we were surprised when we realized we hadn't. 'This is one that pundits, friends and colleagues have been concerned about for awhile," Curzan says. Let's talk about shall, shall we? There’s a rule that makes a clear distinction between “I shall” and “I will.” However, we as speakers don’t seem to respect that line. Do you know where that line is? Actually, here’s a better question: Did you know this rule existed? We found out from a fourth grader. Is your cohort a group effort or a one-person show? The time has come again for University of Michigan English Professor Anne Curzan to offer her opinion on another round of language disputes. Every September the editors of the American Heritage Dictionary send a ballot to panel members, asking about usage issues. Curzan and around 200 others are tasked with voting "yea" or "nay" on the way we've been using words like "cohort" and "hoi polloi." Recently, two listeners, including one named Ruth, asked us what's going on with "ruthless." For starters, a ruthless action is one that's clearly without ruth, but can an action also be full of ruth? The answer is yes, something can be ruthful, but here's a better question -- have you ever actually used that word? There's no need to be ruthful if your answer is no. In the Corpus of Contemporary American English, there are over 2,000 instances of "ruthless" and zero instances of "ruthful." But ruthful wasn't always such a pariah. Where does the 'r' in 'Mrs.' come from? A young listener named Cam recently asked us why "Mrs." has an "r" in it, even though it's pronounced "missus." Great question Cam. Since "Mr." is pronounced "mister," it's pretty easy to understand where that "r" comes from, but the "r" in "Mrs." is a different story. We know what you're thinking. All we're going to say is that mistress is a very complicated word, and we only have time for just a tiny bit of its etymology. Evidence suggests that some people are throwing up their hands, and others are grabbing their dictionaries when confronted by the multiple forms of a word that describes someone who has graduated from a school. We should point out that this "evidence" is purely anecdotal. But that doesn't mean it's not worth exploring. So what do you call a former student? The conundrum here stems from the fact that there are two forms of the word in question, one masculine and one feminine. How are things in your metaphorical neck of the woods? If you're a loyal watcher of the Today Show on NBC, you're probably familiar with weatherman Al Roker's catchphrase: "Here's what's happening in your neck of the woods." That saying doesn't make much sense when you think about it, but it's probably one that you use or hear other people use. Like a lot of sayings in our language, this one is pretty old and used to have a different meaning. When we talk about "neck of the woods" now, the neck is metaphorical and the woods are no longer required. If someone asks you a question, and you find yourself struggling to answer, did you flounder? Or did you founder? The answer is "flounder." But these two verbs sound so much alike and have such similar meanings, don't feel bad if you were wrong. In fact, a listener recently asked us if we could clear up the confusion between "founder" and "flounder." Few things are more telling of Upper Peninsula lineage than the distinct style of speaking known as "Yooper talk." In her new book Yooper Talk: Dialect as Identity in Michigan's Upper Peninsula, Grand Valley State University Professor Kathryn Remlinger explores the history and features of of this unique dialect. Remlinger is careful to point out that there isn't just one U.P. dialect, that there are actually many ways of speaking. But there is a way of speaking that sounds undeniably Yooper. Or at least, we want to believe there is. For Pete's sake, who in the world is Pete? Sometimes when we're annoyed or exasperated, it feels pretty good to shout out, "Oh, for Pete's sake!" But if we're going to do things for Pete's sake, shouldn't we at least know who he is? Before we get to Pete though, let's start with the basics. A few weeks ago Tyler, a colleague at Michigan Radio, asked where the word "sake" comes from. "I was so glad Tyler asked, because while I knew a little bit about 'for Pete's sake,' I hadn't thought a lot about just the word 'sake.'" English Professor Anne Curzan said. It doesn't seem like coming up with a response to "thank you" should be that complicated. When you think about it though, there are a lot of options, and our response depends on what's happening in the conversation. A listener named Peggy recently wrote to us about a response to "thank you" that she's heard quite a bit while listening to the radio. 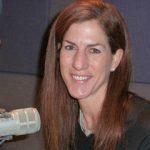 "Over the past months, I've been noticing that when a radio guest is thanked, rather than the customary 'you are welcome,' they instead respond with 'thank you,'" she writes. As the hosts of a radio show, we're guilty as charged. If a child looks a lot like one of their parents, people will sometimes say they're the "spitting image" of the parent. But others will say the child is the "spit and image" of their parent. So which is right? That's exactly what a listener from Kansas named Ken wanted to know. "Growing up, I had always heard, or misheard, and repeated the phrase, 'spitting image' -- as in, he's the spitting image of his father," Ken writes. Recently, Ken was reading a review for a camera when he saw the phrase "spit and image." Now he wants to know which interpretation is correct. If someone takes the lion's share, it's safe to say there's not going to be much left for everyone else. But why does it have to be the "lion's" share? Why not the tiger's or the bear's? You can blame Aesop for this one. Some of you may not remember much from the calculus courses you took in high school or college. But there are other uses for the word "calculus," and they don't involve integrals or derivatives. "When and how did the mathematical term 'calculus' come to refer to political thinking?" What's the matter with 'fact of the matter'? Last week on That's What They Say, we had so much fun talking about "factoids" we thought we'd answer another fact-related question this week. A couple weeks ago, English professor Anne Curzan gave a talk at Glacier Hills Senior Living Community in Ann Arbor. Following the talk, a woman asked a question Curzan had never considered. She wanted to know, "Why is everyone now talking about the fact of the matter? Why can't they just talk about facts?" Unless you've managed to avoid all forms of media this year, you're probably well aware of the ongoing debate over what constitutes a fact. Frankly, we have no desire to open up that powder keg. However, we thought this would be a good time to talk about "factoids." If someone were to ask you for an example of a factoid, what would you say? Many of us would probably start rattling off parallels between Abraham Lincoln and John F. Kennedy or pull up a Buzzfeed list or some other collection of random, interesting facts. Here's an interesting factoid. The word "factoid" used to mean something else.